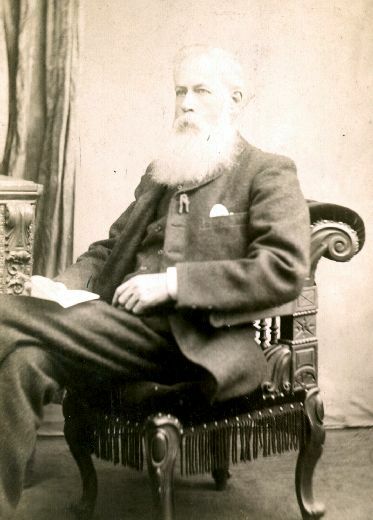 A black and white studio portrait possibly of J.S. Booth who owned of Castle Bank Mills. The photographs details are printed in gold lettering below the image: ‘G. Parkin, 15 York Street, Wakefield’. Inscription in pencil on the reverse reads 'believe, do, be, J. S. Booth Esq, Castle Bank Mill’.